I spent some time really considering my table for this year’s events and I’m thrilled with how well it came out! 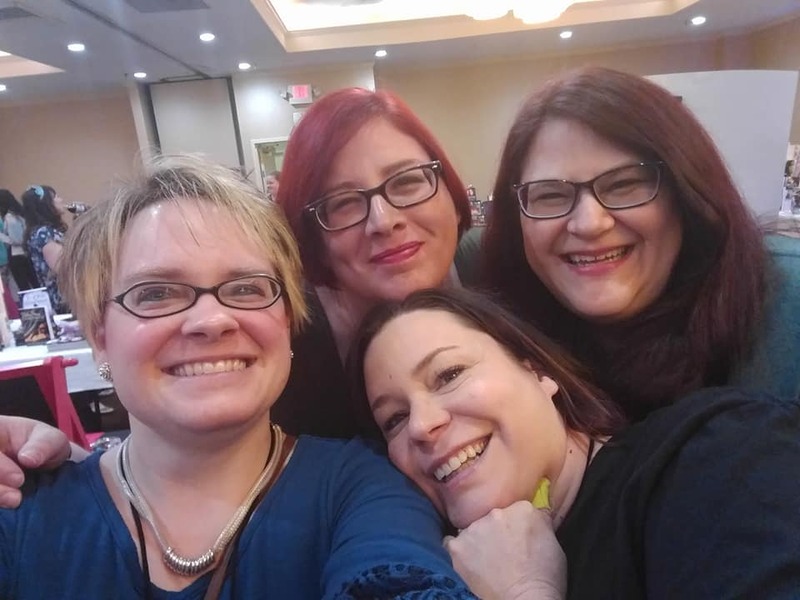 Here’s some amazing people I got to spend the weekend with…. 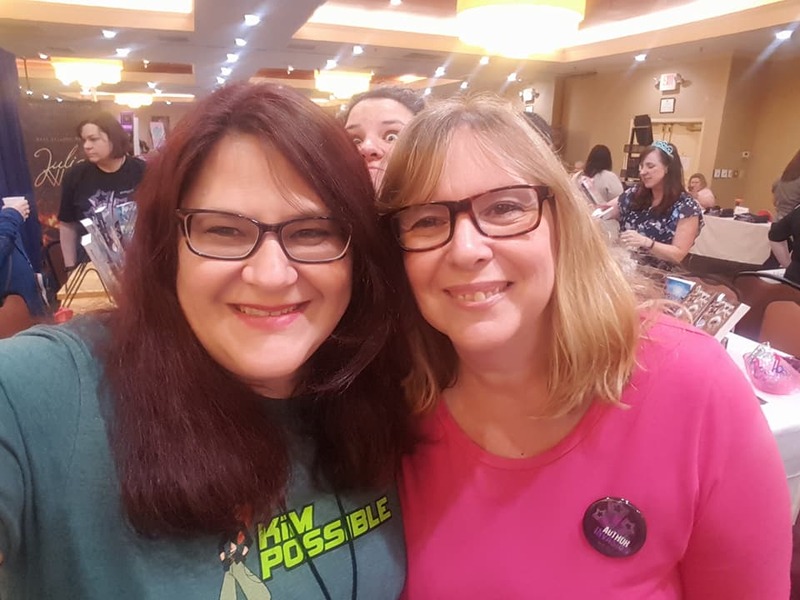 This is Belynda, my #1 stalker fan! hehehe She has been amazingly supportive since the very beginning and it was wonderful to finally get a chance to meet her! This is Bridgette O’Hare, one of my amazing graphic designer. 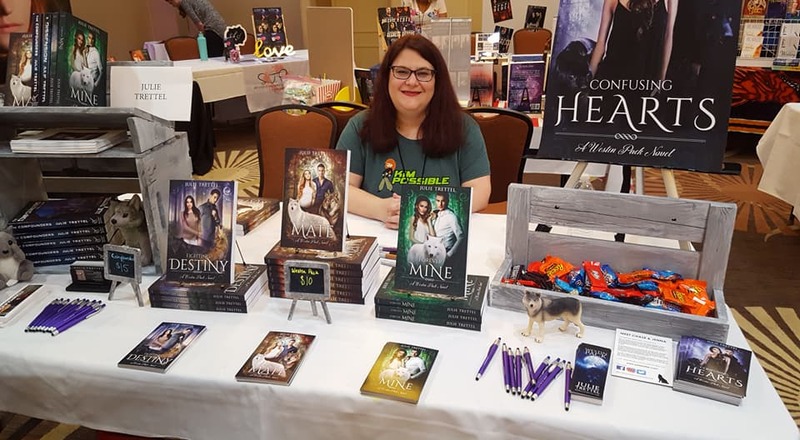 She created my gorgeous new bookmarks for both Westin Pack and Compounders and will soon be working on the new Collier Pack covers. 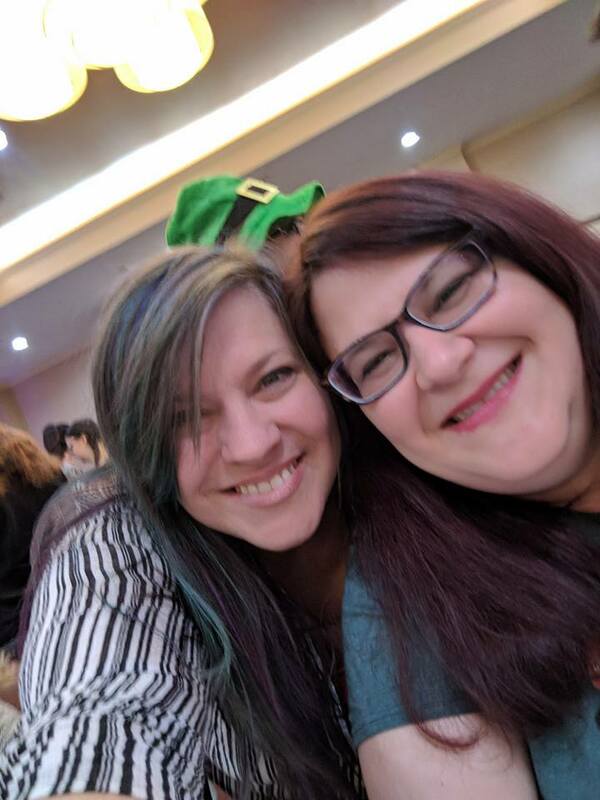 And this is Sara Meadows, my awesome editor and beautiful friend! 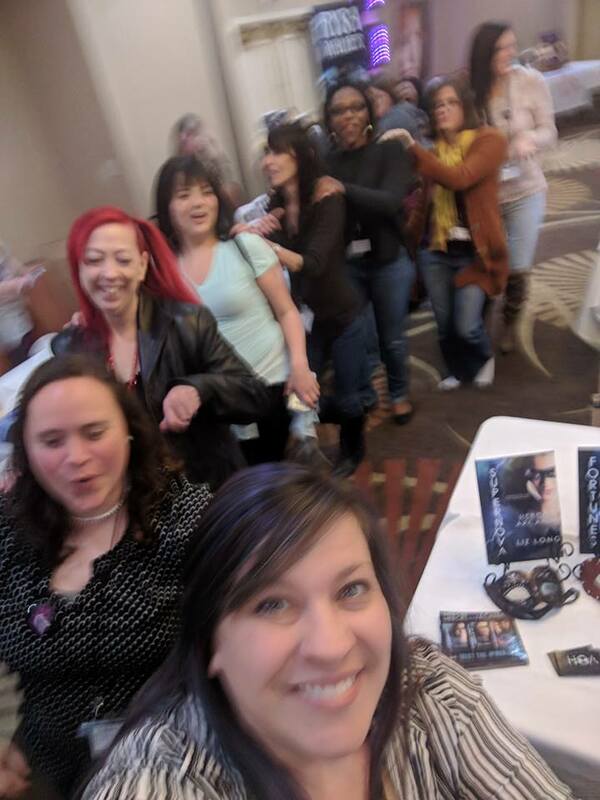 Author dinners, karaoke, meeting new fans, catching up with old friends, silly pictures in the photo booth, after party fun, dancing, ice cream bar, and 4 crazy teens to share it with, RAI 2018 was my favorite so far and I can’t wait to return in 2019, so mark your calendars NOW! 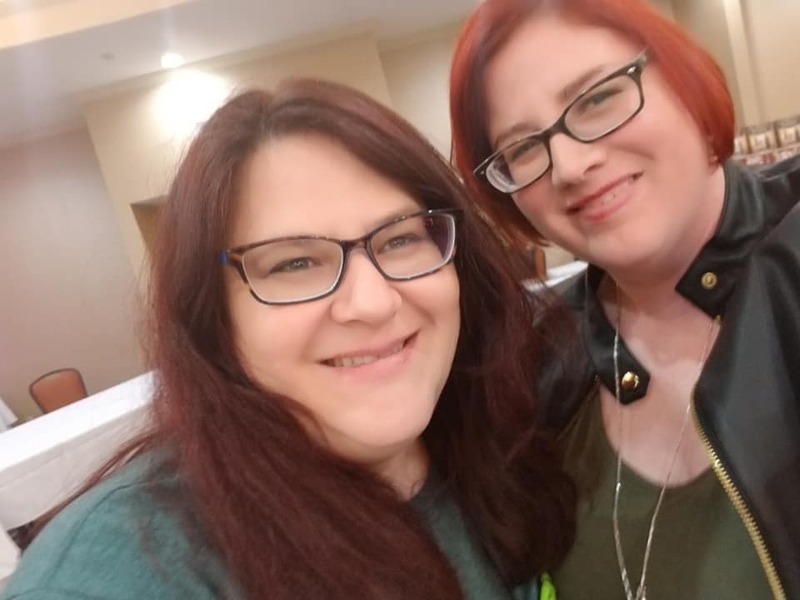 April 6, 2019 – Roanoke Author Invasion!!!! 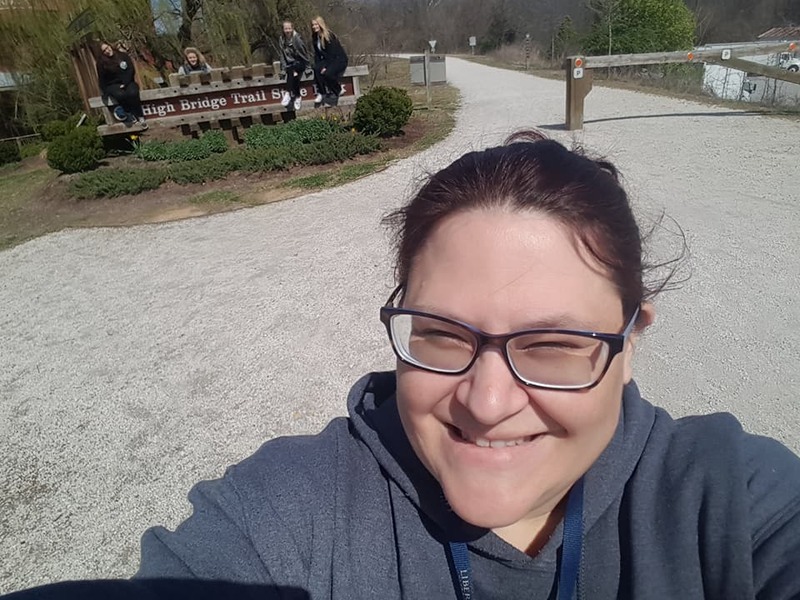 On the way home, the girls and I stopped in Farmville for lunch at Macado’s “It’s tradition!” and then set out to hike a portion of High Bridge State Park Trail. A perfect ending to a perfect weekend. And my absolute favorite picture of the weekend! I love these girls to pieces! We’ll be roadtripping it to Michigan in a few months for Once Upon A Book, so watch out! I can’t wait!! !